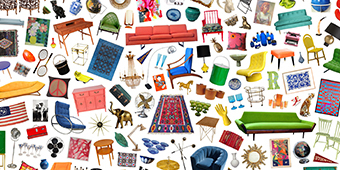 It’s no secret that we’re vintage-devoted, but we’ll be the first to admit—knowing how to decorate with vintage finds doesn’t always come easy. 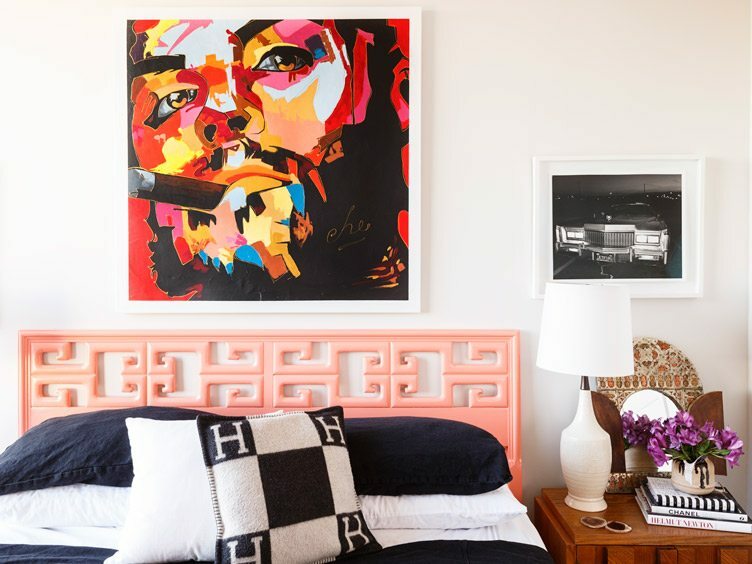 To banish the angst (and provide oodles of inspo), we’ve rounded up five, style-savvy interior designers who seem to have a special A-game way of designing with one-of-a-kind finds. Dig into these chic designers’ portfolios, Insta-feeds, and au courant projects to jump-start your latest project and unleash your inner vintage mastermind. There’s something powerfully cinematic about the interiors created by Tamara Kaye-Honey’s design studio House of Honey. As creative director and principal, Tamara, has an eye for mixing sculptural vintage furniture with moody tones to create high drama interiors with the perfect hint of edge. One glimpse at her daydream-y Instagram feed proves creating a vintage-heavy vignette (think unique paintings, marble busts, or vintage Italian ceramics) is something of a sweet spot. Signature Vintage Move: Vintage brass light fixtures, mirrors, or animal figurines serve as the firm’s golden trademark. 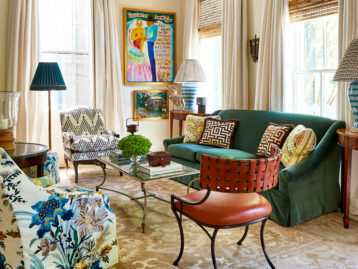 For Athens, Georgia and Ann Arbor, Michigan-based designers Krista Nye Nicholas and Tami Ramsay of Cloth & Kind Interiors, vintage is a part of their design DNA. Both Nye Nicholas and Ramsay traveled the world as children and were avid souvenir collectors. These days, the duo mixes unique global finds with splashy, ethnically-inspired textiles. 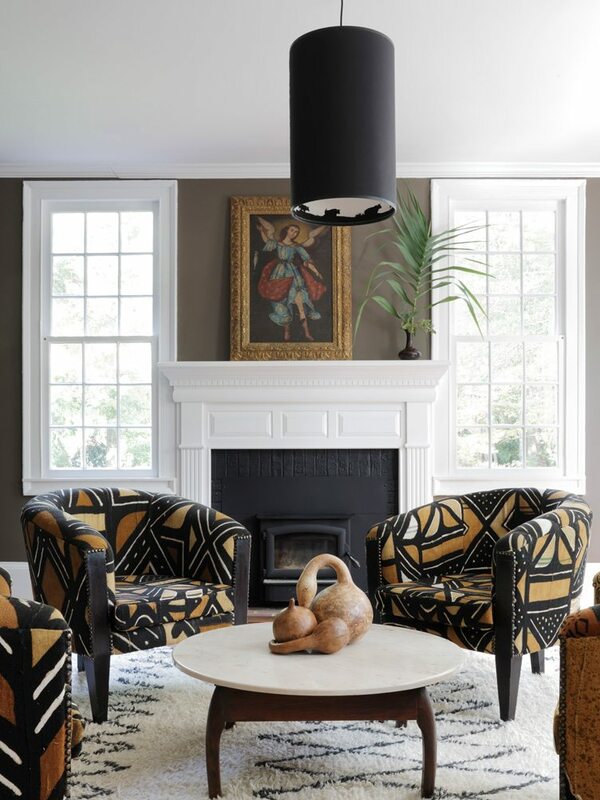 A vintage wingback chair covered in a mud cloth-style fabric paired with a Mid-Century lamp set atop a rustic cabinet might sound jarring, but as Cloth & Kind proves, dichotomy is a powerful tool when decorating with vintage. Signature Vintage Move: Adding textural luster via a vintage hand-thrown vase, a weathered wood box, or an old-school oil painting, for rooms that beg to be touched. 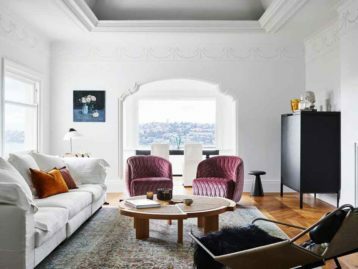 With her background as a Remodelista editorial contributor and stylist at vintage hot-spot, Big Daddy’s Antiques, it’s no question where San Francisco-based interior designer and Dehn Bloom principal Allison Dehn Bloom got her sweet sense of vintage style. Riffing off Cali’s beachy vibes, Allison effortlessly mixes Mid-Century Modern finds with colorful bohemian textiles. 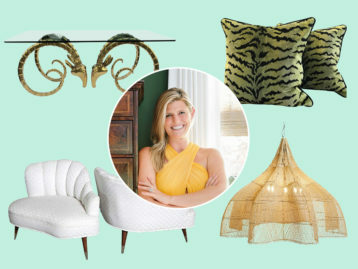 Her rooms feel ultra-sophisticated, but thanks to vintage finds, also pack a playful punch. Signature Vintage Move: Employing vintage farm tables and rustic wood decor in otherwise polished interiors for a ‘kick off your shoes’ sense of chill. 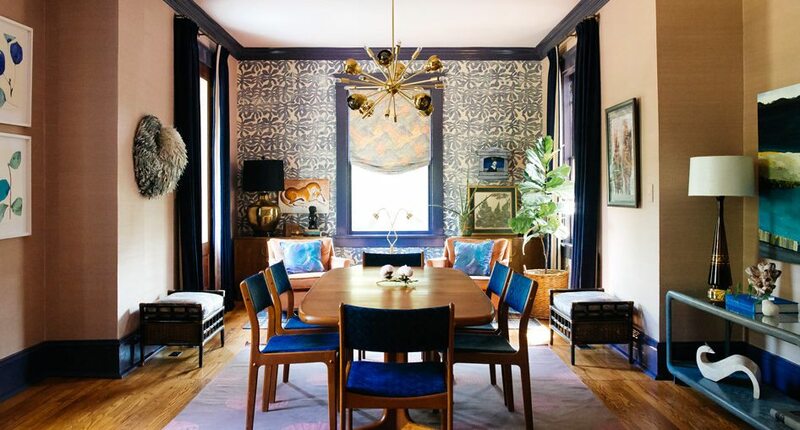 With a taste for more-is-more glamour, New York interior designer Sasha Bikoff’s interiors are akin to a mix-tape, interweaving a deluge of styles and eras. Her rooms always feel modern—even space-age-y at times—but they wholly embrace vintage elements, too. Scroll Bikoff’s stunner of an Instagram feed to see both tidbits of her own projects (which routinely mix vintage styles like Art Deco revival, 18th Century French design, and Italian Modernism) and for spectacular, wanderlust-inspired imagery. To say her feed and her interiors are total color-bombs would be an understatement. Signature Vintage Move: Casting a room in largely a single shade like rose, navy, or gold, to lend cohesion to vintage elements pulled from different time periods. Equipped with a strong Mid-Century aesthetic (she counts Eero Saarinen as a muse), Austin-based designer Allison Crawford fearlessly mixes vintage with new. 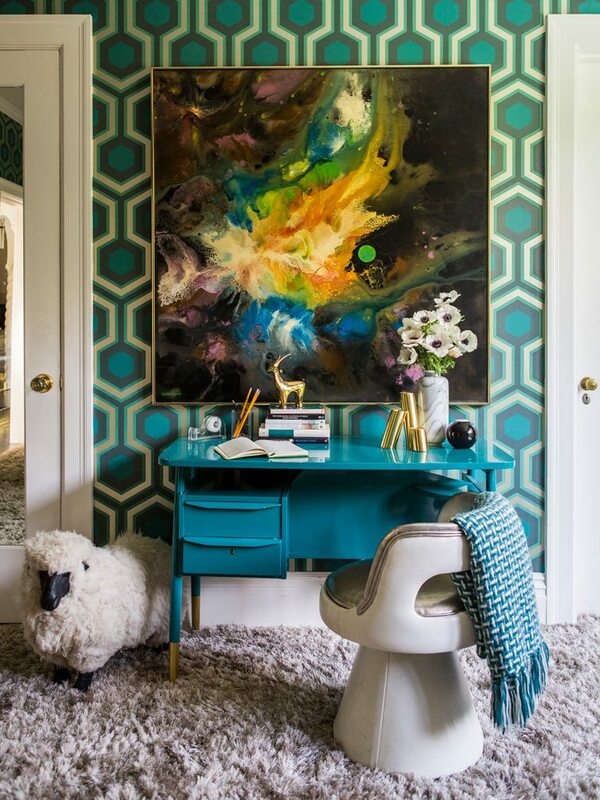 Dip into her portfolio and you’ll see bold, contemporary wallpapers paired with finds like Brutalist lighting, Mid-Century burl wood tables, and lacquered Ming-style chairs. 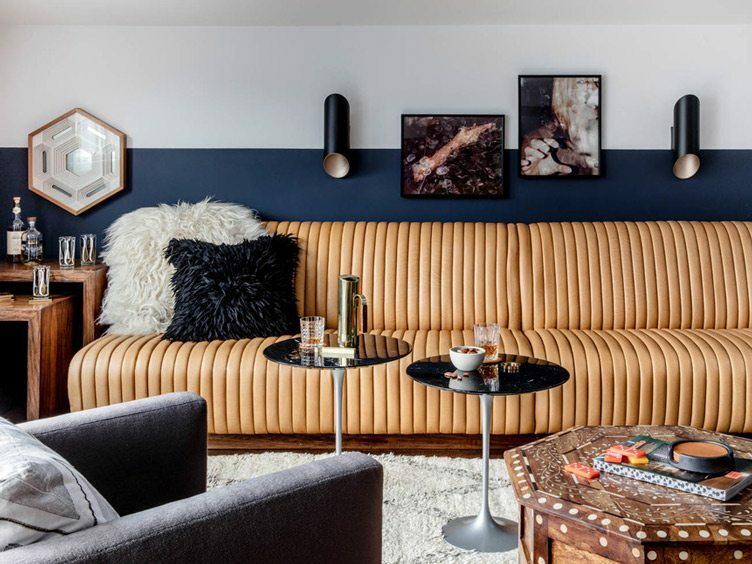 For those who are smitten with Crawford’s plucky style, you can now rent one of her vintage-decorated homes, courtesy of her newest venture, Hotelette, which provides design-savvy travelers with the comforts and sprawl-space of an Airbnb, but the design IQ of a boutique hotel. 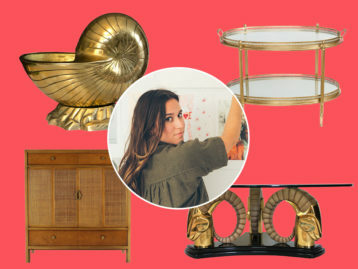 Signature Vintage Move: Working a piece of iconic statement furniture in virtually every room, be it a swanky Milo Baughman dining table or a pair of crush-worthy, Brutalist-style nightstands by Lane.